Roger Federer has spent the last few weeks in Switzerland, practicing and resting for the final push of the season. He's back on the ATP Tour at one of his favorite stops. The 34-year-old Swiss star is trying for an unprecedented seventh title in Cincinnati this week while getting his game in shape for the U.S. Open. The time off has helped. "I'm fresh and obviously eager to play and can't wait for the tournament to start, really," Federer said after practice Sunday morning. "But practice has been going very well. I'm very happy with how I'm feeling." 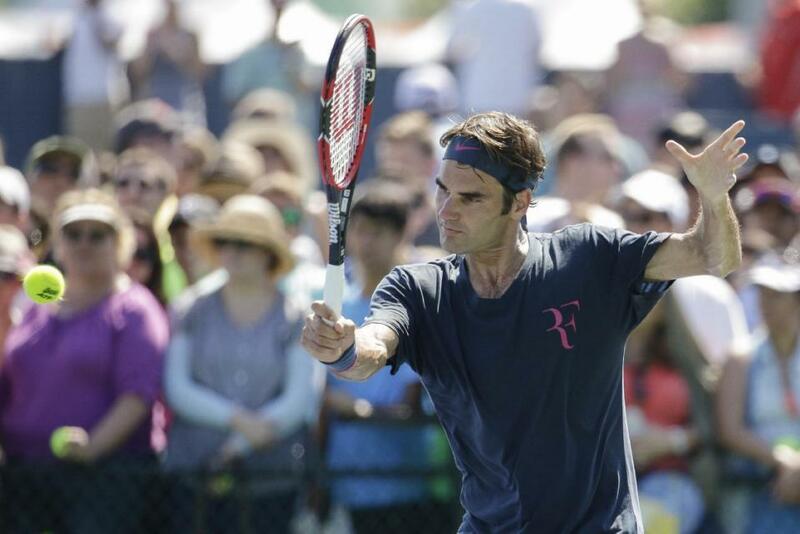 Federer decided to sit out the Rogers Cup last week, avoiding back-to-back tournaments. Last year, he was the runner-up at the Rogers Cup, flew to Cincinnati and beat David Ferrer in three sets at the Western & Southern Open. Federer is 6-0 when he reaches the finals in Cincinnati, where he's very comfortable with the courts and has a good feeling because of his career success. This time, he's also rested. "Last year I came in tired from five straight matches in Toronto, arrived late, wasn't sure if I was going to play, decided to play and thankfully I did," Federer said. "I ended up winning here. Now I have had plenty of time." Federer faces a tough path in his quest to successfully defend his Western & Southern Open crown, with Rafael Nadal in his quarter, a semi-final duel with third seed Andy Murray also looming large. While top seed Novak Djokovic has Stan Wawrinka as a potential quarter-final opponent on the other side of the draw. Champion in 2005, ‘07, ‘09-10, ’12 and ‘14, Federer is seeded second and will face either Roberto Bautista Agut or Pablo Cuevas after receiving a first-round bye. He is 3-0 in his ATP Head to Head against Bautista Agut and holds a 2-0 record against Cuevas.